Wray Woolley 66 got the ball rolling by donating space on his server to host an Ankara High School Yearbooks web site. Shiela Weaver 67, created and designed e-Citadel.com, and started uploading files to Wray's server in 2005. In February 2011, the site moved to a new server that can accomodate its large size. The goal during this six year anniversary was to finish the remaining yearbooks, 2006 to 2010. 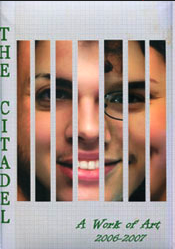 On April 9, 2011, Citadel 2006 was uploaded to e-Citadel, completing the 58-book collection. This is an accomplishment unparalleled by any alumni group. Shiela has designed a format that allows you to view the yearbooks with ease. She also helps you remember the favorite tunes of the time and provides historical trivia. Shiela's LORE section provides information on the school's history, maps of Anatolia and the Normandy Invasion, copies of the school newspaper, Prom Invitation, plus much more. This is a fun site to visit no matter what year you graduated. 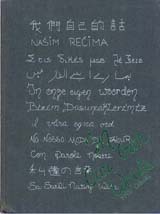 The original yearbook for the high school in Ankara. Our very first Ankara High School yearbook! Only 47 pages including the Epilogue, the Ayyildiz answers more questions we have had about the history of our school. It highlights a History of Ankara, discusses the History of the School, and recalls the events of the year with a Class History! You'll notice even the Class Trip is described and accompanied by pictures. Thanks to Janet Day (Rouvales) 55 for loaning her book. 1954 - completed 7/12/05The second Ankara High School yearbook completes our '53-'54 set, and managed to have exactly 54 pages. The Class Trip to Bursa is described and accompanied by pictures. A special treat was reading the Junior-Senior Class Prophecy this year, written by Martians! Thanks to Janet Day (Rouvales) 55 for loaning her book. This yearbook replaced Ayyildiz. It was published between 1955 to 1957. When this yearbook was published on e-Citadel we discovered that the yearbooks had another name, the Turkish Towel. This is also another exciting book since this year marks its 50th birthday. Each Senior had a full page of their own and there are many collages of candids. The fifties had some distinctive fashion features and this e-dition features many styles of shoes. Thanks to Liz Marshall (Moore) 55 who photocopied her entire yearbook onto cardstock. This was one of the most difficult yearbooks to find, but the fifties are finally complete. A big thanks to Dennis Funchess for his contribution. Class year photos, Who's Who and Student Life are just a few of the sections. With advertisements, this book is 94 pages of fun. A short history of the school beginning with the arrival of the first American families in 1949 is available in this yearbook. There are so many interesting features in this yearbook, be prepared for some extra links. Dedicated to "the people who are so bravely and valiantly fighting and giving their lives for the cause of freedom ... ," it is as fresh and timely today as it was when first issued. A"regional" yearbook published by "the students of the senior high schools of the United States Air Forces." It included schools in Libya, Morocco, England, France, Turkey and Germany. Vapor Trails was published between 1958 and 1962. This yearbook continues the Vapor Trails legacy. Beth Miller '61 (now Beth Collier) supplied the pages to her 61 Vapor Trails to scan - it was literally just the pages and she had to work some magic to find another copy of one of them, as well. As part of the AAEA Vapor Trails, the Ankara section is about 50 pages. There's a nice picture of Ankara by night. The theme is "Eski ve Yeni" (Old and New) and there are some good drawings to separate the sections. Senior pictures were first with a fun feature if you use Netscape or Firefox as your browser. But the whole yearbook is now available with a link to The Year In History and movie facts. Many thanks to Steve Reich 62, Alexandra Alessandros (Turkington) 62, Holly Jackson 62 and Anita Donohoe 66. 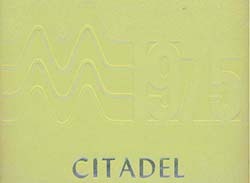 In 1963, the Ankara yearbook adopted a new name, Citadel. It has been published for almost 30 years. 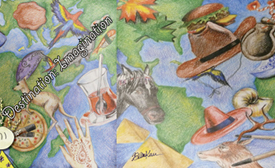 This is a unique yearbook thanks to Dawn English and John Clayton for their artwork and photography. Another unique aspect to this yearbook are the poems they have next to the senior pictures. This is a must see even if it is not your era. This edition of the Citadel has many pictures of Turkey. This was the first complete e-Citadel. With help from John Stuck 68, Sheila continues to provide us with fun stuff to view from the past. And The Ambassador is no exception. Alumni who attended school in the mid-sixties will enjoy this newsletter from April 27, 1965. Wray Woolley and Shiela Weaver have worked together to provide Class of 66 Odds & Ends, Superlatives and Seniors. Shiela completed the yearbook which includes a visit from the Gemini 6 astronauts. Complete yearbook!!! This was the original e-Citadel and the one that provided the spark for the entire yearbook project. It originally contained only the Seniors, Superlatives and Features and we all thought that was such a huge deal. You can view the entire book including caricatures of the teachers to "virtual cheerleaders." 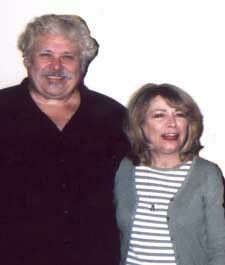 Chris Buckeye (Goss) 67 was the catalyst for the LORE section on e-Citadel. When attending a micro mini in Los Angeles in June 2005, she brought memorabilia including an information booklet for dormies, a puzzle ring instruction booklet, a prom dance card and map of Ankara, circa 1966. This huge yearbook is 146 pages packed with pictures and memories. The staff dedicated the book to Ms Dumlu. The touching praise well-deserved. Lots of pictures of school events so enjoy. Complete yearbook!!! This large volume has one of the first special color sections. Mr Brown of Chemistry and Physics fame retired and Miss Dumlu and Mr. Klatt were married. The photography and layout is great thanks to Derrill Browning. Thank you Timmy Pruett for loaning the book to e-Citadel. Julie Alpert (Wood) 73 and Anita Donohoe 66 met for the first time on April 1 for their own "micro-mini." 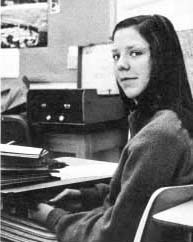 The occasion allowed Julie to loan her 1971 yearbook to Anita to scan for e-Citadel. Like many of the yearbooks, the history of the school is witnessed by who published the yearbook and under what conditions. This Citadel is no exception. Shiela Weaver continues to add her personal touch to this e-dition by giving you the history behind its publication with personal commentary by those involved. Be sure to visit e-Citadel.com for "the rest of the story." Shiela continues her rapid pace of uploading yearbooks by placing the 1972 Citadel on her site with help from Susan Curran 72 and Anita Donohoe 66. From Don McClean's American Pie to the Commencement Program, this yearbook is fun to view. It appears you can always find a story concerning a Citadel yearbook and this one is no exception. Brian Heyboer '74 did a great job of scanning this yearbook but was concerned about the quality since it was printed in Ankara on non-glossy paper. There are some printing defects including heads missing in some shots. You can find extra candid shots at the end of the Seniors section as well as at the end of the book. Commencement Program included. This special edition yearbook was created for the 1973 class of the Ankara Hunt and Saddle Club. Mike Neff 76 was kind enough to provide his copy for scanning. Besides pictures, there is a history of the Club and a story about the Riding Master, Woca. This is another triumph in re-creating the history of our school. Loaned by Eda Haynes '74, Anita Donohoe's excellent scans of the 1974 Citadel really brings out the charm of this book. Once again, very different and interesting. Watch out for those cool new artistic techniques. Don't miss the added extras at the "back" of the book. Find the price list showing cheeseburgers for 55 cents and fries for 25 cents! Donated by Candy Andrews 75. This poor yearbook went through some hard times going digital - sitting in the rain when it got to Shiela and needed to be salvaged for scanning. But worth the effort. Covering all the special events of the year, such as the fear there would not be a school, a three-evening extravanza put on by the Drama students called "Nineties Nights," the many trips of the Humanities class and Host Nations Club, the Trojan teams, and lots of candid photos, the book runs the gamut. Great photos of Turkish life are included, as well as the Senior Will and the fundraising events leading up to Homecoming. The first contribution from AHS faculty, Patricia Ülkü and Ron Tickfer. The school year saw both the men's and women's teams taking the ASTL championship, and don't miss Wallyball - about 30 pages of sports. Homecoming, the Winter Sports Banquet, and a large Who's Who section will bring back those school days. Don't miss the Year in History, the Top Grossing Films and the Top Ten Songs - enjoy! Our second soft-cover Citadel, this yearbook has over 150 pages of candid photos! Beginning with a section of pictures of Turkey with scenes most of us will remember. There's also an entire section on the Ankara Hunt & Saddle Club. The school newspaper, sponsored by Mr. Tarpley, was called the Trojan Troubadour. If anyone still has a copy, contact Shiela. The third soft-cover yearbook in the e-Citadel collection begins with several pages of views of Turkey and a message from Principal Gundacker. With a small enrollment that year (graduating class of 18), the faculty was similarly small in number, with only seven teachers! But as always, they covered every important subject area. Great candid superlatives are in the Who's Who section, and a lot of shots of the class play, 'Blithe Spirit' by Noel Coward. Opening with Senior candids set to the thought "we may never pass this way again" and the dedication by Principal Gundaker, this yearbook staff has done a great job. This book was a library copy so there are no autographs. You can find great pictures of the staff and faculty advisor. Thanks to Charlie Brown 89 and Rich Koster 81. With its textured cover and golden Trojan profile, this is really a beautiful yearbook. It is overflowing with candid photos. Football, wrestling, girls volleyball, Homecoming - all have tons of photos, and there are even candidsof the faculty! All the local shops which sponsored the yearbook production provided pictures that include the shop-owners, and this year saw American sponsors such as Burger King, McDonalds, Sears, etc., as well as the old standbys. Thanks to Inci Smith (Cuervels) 85. This yearbook has a strong emphasis on sports since championships were won in almost every sport. Homecoming features a princess from every class proving the Queen's court. Thanks to Inci Smith (Cuervels) 85 for contributing her book. Double-wides! This book is rife with photo collages.The Who's Who buttom at the top takes you to a special feature, a who's who for Faculty. This is the last in the series of books donated from Inci Smith (Ceurvels) 85. The 1985 yearbook adopted its fourth name, Trojan. In 1986, however, the yearbook staff had returned to naming the yearbook, Citadel. In 1992, the yearbook was a "Trojan." A new year and yet another name for the yearbook, Trojan. A thanks to Karen Parker (Gamble) 85 and Inci Smith (Ceurvels) 85 who loaned their yearbooks to the project. There is a return to black and white photos instead of color, with great shots of school events. This is the first yearbook of the 80s to be posted on e-Citadel thanks to Bob Slentz-Kesler and Anita Donohoe. The Senior Class pictures are in color as well as two "collages of color." Jam-packed full of the creativity of the students, 1986 boasts lots of artwork and poetry, a full repertoire of sports, and extra graphics that make the pages really fun to look through. 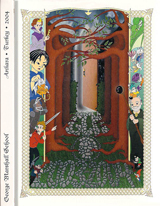 The artwork and graphics in this yearbook are unique with a door theme. Sheila has showcased this idea in her setup on e-Citadel. Thank you to Charlie Brown for sharing his book. The yearbook staff has done it again! With Section Editors, Co-Editors from each class, and an excellent sponsor in Mr. Dan Stahler. This e-dition is jam-packed with candid and gorgeous full-page color photos. And it's always fun to read the autographs Thanks to Charlie Brown 89 and Travis Sondgeroth 90. Thanks to Charlie Brown who loaned his1989 Citadel. It is the first full color yearbook to be placed online. The Faculty section is all candid shots. The school paper was called "The Trojan Times" and a sample page from one of their issues is included in the yearbook. You'll also find a new Trojan drawing that's really good. The theme of this 165 page yearbook is FUN. Most pages are color, most are collages of candids, and the faculty pages are decorated with crayon drawings of clowns! Be sure to check out the "McHocas", the car wash, and the paean to lockers. According to Shiela, "A blast to browse!" What a year - Prime Minister Thatcher stepped down, Operations Desert Shield and Desert Storm - and it definitely had an effect on Ankara students. Stop by and reminisce, and please let us hear from you on the Guestbook! Thanks to Anita Donohoe 66, for purchasing this yearbook from Ankara Alumni With almost 200 pages packed with collages of candid photos of every class, a section for the elementary school, and a full faculty section, this book is a real treat you won't want to miss! Sport teams prevailed and the school went through a renovation. Trips to Bogazkoy, Uludag, Bodrum and Kizilcahamam provided diversion and additional learning opportunities for AHS student groups, and fun for a week with the Zingaro Annual Bridge Building Contest as well as the proms, dances and Senior Skip Day kept things interesting. Spend some time browsing Memory Lane! Almost 200 pages of memories and every area of student life has a section, a really enjoyable book! This yearbook is a real quality production. Half the book, covering all the classes including elementary school, is in full color, and the special features are in black and white. A great job by a huge yearbook staff ! Be sure to view the cover with its multilingual phrases full-size! the Introduction for a good summary with pictures of the many events that made the 95-96 school year spectacular, from the 8th graders picking pumpkins to the first issue of Marshall's Magazine. Many candid photos including senior baby pictures and Superlatives. With students drawn from 34 countries around the world, superlatives abounded in '97. After a hiatus of three years, the Trojan cheerleaders returned to smashing success! From the road trips to Inçirlik, Spain and Bahrain to Homecoming and the Spirit Bonfire, the year was crowded with memories. Only 16 graduating Seniors! Still, a big year dominated by community service, with a clothes drive, donating eyeglasses to Turkish students, campus beautification by the Student Council, refurbishing of the Teen Club by the National Honor Society, and other fund-raising activities. Note: The available copy had most of the Seniors missing. If you have a copy, please contact Shiela. There were only 16 graduates! For a small class, they certainly had big achievements! It was another big year for road trips, and GCM students made the most of them. Hoopsters to Bournholder, wrestlers to Mannheim, artists and thespians to Oberwesel, soccer-jox to Holland, Honor Choir to Weisbaden, and the women's soccer team to the European Championships in Alconbury, England. This full-color yearbook is almost 200 pages, very organized and professional, and the huge yearbook staff (made up of representatives from every class) does honor to that special year with the quality of production. Some great pictures of Turkish life and culture are included in a section called Bezim Evimiz, and students wore gorgeous costumes to celebrate International Day. Hey, for alumni from the 60s, the Cheerleading page even includes a flashback to 1962! Now called Ankara School as it is comprised of all grades K-12, our alma mater made the news in several ways, but this story will touch all of us alumni. With enrollments at about half the number of students GCM has boasted in previous years, class sizes are small. The news section is a MUST READ for everyone. This yearbook is full of smiles, laughter, friendship and family in the shadow of the attacks on the United States. Students from 49 different countries attended the school this year and graduated 16 seniors although only 14 got their information into the Senior Directory. Twenty-eight graduates and a full-color collage fest. Students competed again at the DoDDS European Drama Festival in Weisbaden and also for the Spring Fling Variety Show in May for GCM students. Lots of extras including a picture of the graduating class provided by Rogé Nelson 03. The "Ankara School" continues to be home for students from around the world. This yearbook has a fairy tale-type quality. Sports include volley ball, cross-country, basketball, cheerleading, wrestling soccer and tennis. Students, teachers and parents could not escape SQ4R, the Continuing School Progress strategy for the year. A big thanks to Anita Donohoe 66 for obtaining and scanning this yearbook. This book is overflowing with collage-style full-color photos displaying the whole range of school activities from September through May, including the elementary school celebration of Dr. Seuss' birthday and the visit of the Harlem Globetrotters. This yearbook's editor is Sarah Neumann and she and her staff chose a movie theme. This book "contains scenes that have been caught on film for eternity, images that, in the future, will allow us to relive the past." A small Senior class of 7 students allowed the yearbook staff to devote a great deal of space and attention to this year's graduating class. Of particular interest was marrying the faces of students to famous works of art. The cover collage-portrait of all the graduates is an intriguing "work of art" that sets the standard for the rest of the yearbook. This is a well thought out yearbook which embraces the past and brings it into the future. Pictures from previous yearbooks, which were downloaded from e-Citadel.com, with Shiela's permission, are used as backgrounds on many pages. 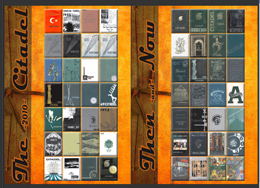 The covers are a collage of all the yearbooks from 1953 to 2010. Congratulations to yearbook staff, Terence Douglas, Kevin, Celik, Isabella Pinerua, Tornike Koplatadze, Liesl Jaeger.